Welcome to the simplest, most delicious and overall best cookie recipe ever! 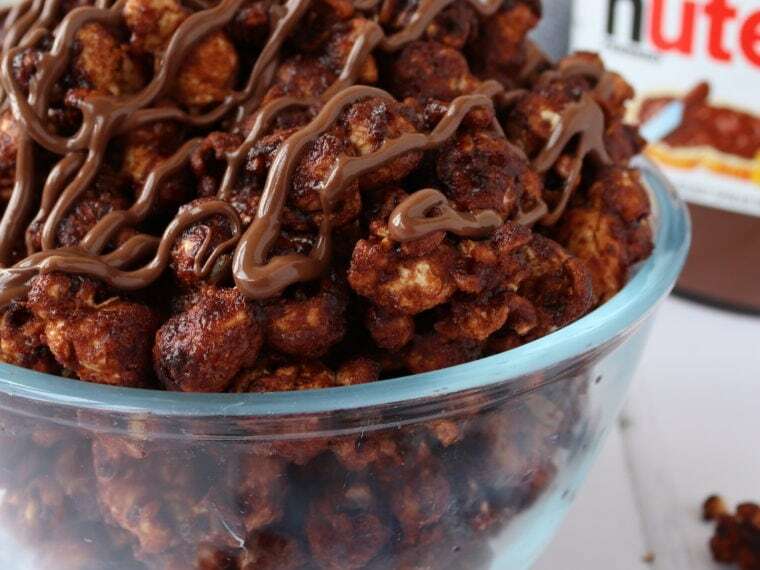 If you love Nutella (who doesn’t?!) then you are in for a treat. Delicious soft nutty chocolate cookies with pure Nutella running through the middle. So damn good! The reason this recipe is so simple is because it only has three ingredients, as pictured above. You don’t need to add sugar or fat because Nutella has those elements within in. I was slightly skeptical as I have never made such a simple recipe before, but there was a jar of Nutella involved so I knew something tasty would happen! First I mixed together 1 egg and 280g of Nutella, you can use any other hazelnut chocolate spread. I made it with both and didn’t notice any major difference. I’ve also noticed a few flavour versions in the supermarket, like chocolate orange spread for example, so it might be interesting to try using one of those. Then I added 150g plain flour and mixed until all of the white of the flour was gone and a smooth dough formed. I scooped out a piece of dough, rolled it between my palms, then flattened it. I put it on a lined baking tray, and added a dollop of Nutella in the middle. I made another disc of cookie dough and placed it on top, pressing down the edges with my fingertips. The mixture makes about 9 cookies, depending on the size. I baked the cookies on 180C/350F/Gas Mark 4 for 8-10 minutes. I stuck around the 8 minute mark, definitely don’t bake them longer than 10, I did my first batch for too long and they went far too crispy and hard. I prefer my cookies more doughy in the middle, and the hidden Nutella really adds to this. Let them cool and then bite right in! I made 3 batches of these cookies in a week because they are so damn good! They also freeze really well so you can stock up. Thank to MBakes for passing on this recipe to me! That sounds so good!! They also do a chocolate orange spread in Tesco and a caramel one! Oh the possibilities…! They are quite big, but the you could easily make them bigger if you wanted!! Thanks Bethan! Oh, I will definitely have a look at that, I am Nutella obsessed! Hi Laura, thanks for your comments 🙂 I'm glad you've found it helpful and I hope you enjoy making these cookies!